Boston Marathon Bombing Spectator Suing Glenn Beck for Defamation with Malice. Almost a year after the Boston Marathon bombing, spectator Abdulrahman Alharbi – a then-20-year-old student – is suing Glenn Beck, TheBlaze Inc., Mercury Radio Arts and Premiere Networks in United States District Court, District of Massachusetts for defamation and slander. The complaint states that Alharbi was questioned by authorities investigating the attack, he allowed them to search his apartment and officials quickly concluded he had no involvement. At that point, other media reports ceased. The complaint continues, saying that Beck, with the active participation of the distributor defendants, repeatedly and falsely identified Alharbi as an active participant in the crimes, repeatedly questioned the motives of federal officials in failing to pursue or detain him and repeatedly and falsely accused Alharbi of being a criminal who had funded the attacks and says the statements were made widely and publicly and caused grave injury to the plaintiff. Alharbi says he’s received numerous messages, internet postings and other communications based on Beck’s false statements accusing him of being a murderer, child killer and terrorist. He’s requesting a jury trial and is seeking unspecified damages, interest, costs and attorney’s fees. Madison Talk Host Sues Wisconsin Capitol Police. In what could turn out to be a precedent-setting legal case in Wisconsin, WXXM, Madison “92.1 The Mic,” talk show host Dominic Salvia is suing the state’s Capitol Police in federal court after he was arrested last summer while covering protests at the State Capitol. 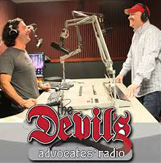 Dominic is co-host of “The Devil’s Advocates,” heard from 4:00 pm to 6:00 pm daily on the progressive talk outlet (alongside co-host Mike Crute). In the complaint, Salvia says he was taking photos and observing the protest scene in the Capitol Rotunda for about five minutes when Capitol Police arrested him. He informed the officers he was a working journalist and should not be arrested, to no avail. Civil rights attorney Jeff Scott Olson is handling the case in which Salvia is seeking damages from the three officers. In a related case, the state of Wisconsin is appealing the dismissal of a charge against co-host Mike Crute who was cited for not having a permit to engage in a sing-along protest at the Capitol Rotunda. Last summer, a judge ruled the permit required was unconstitutional. Olson is representing Crute in that appeal. Regarding the first case, it’s expected the state will argue Salvia was not a working journalist. Given the expanding nature of media and journalism, the definition of a working journalist is up for debate and this case will likely revolve around that question. WGWG, Chicago’s Kaplan to Host Sports Memorabilia TV Show. Chicago sports talk personality David Kaplan – heard daily on Tribune Company’s new sports talker WGWG-LP, Chicago “The Game 87.7” – is going national as host of the WGN-TV produced show, “A Piece of the Game.” As Chicago media writer Robert Feder reports, the show, created and produced by Don Dupree, is getting a national distribution deal. The program features historically significant sports memorabilia and invited fans to have their historic sports items appraised on the program. The show begins taping at the end of April and is expected to begin airing nationally in June. Odds & Sods. Former NFL star Donovan McNabb extends his partnership with the WestwoodOne and NBC Sports Radio where he’ll continue to co-host the “Under Center with McNabb & Malone” alongside partner Mark Malone…..The Premiere Networks-syndicated 24/7 Comedy format announces comedian and actor Greg Proops is the special guest host all this week. “The Smartest Man in the World” is giving listeners a peek behind one of comedy’s most alluring and intelligent acts, and is highlighting some of his most popular stand-up bits. Proops is also one of the stars of the CW Network’s improv comedy show “Whose Line Is It Anyway.”…..Las Vegas-based talk host Dr. Daliah Wachs reports her “FROST contest” is about to get underway and she has radio hosts from all over the country participating in the contest to be the top fundraising host for the Leukemia and Lymphoma Society. 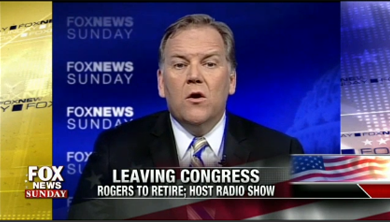 Some of the hosts include: Doug McIntyre, KABC, Los Angeles; Simon Conway, WHO, Des Moines; Alan Stock, KDWN, Las Vegas; Jesus Marquez, KLAV, Las Vegas; Eddie Floyd, Dennis Romeo, Brooke Santina & Debbie McCarthy of America Matters, Reno; Josh Tolley of the ‘The Josh Tolley Show,’ GCN Network; and Steve Sanchez, Steve Sanchez Show, GCN Network. Dr. Wachs says she’s adding some extra spice by giving the top fundraising host a $1000 Southwest Airlines Gift Card. The actual campaign begins in two weeks and hosts can still join in by reaching out to her at: doctordaliah@hotmail.com.